Christmas stories are the best stories. The holidays create the perfect setting in movies, books, and music. Although The Godfather might be a superior film, I've watched Home Alone dozens more times because of its holiday DNA. Christmas stories are a tradition, a yearly ritual that I look forward to. Each year I shuffle through a bevy of favorites, but I'm always on the look out for new classics. 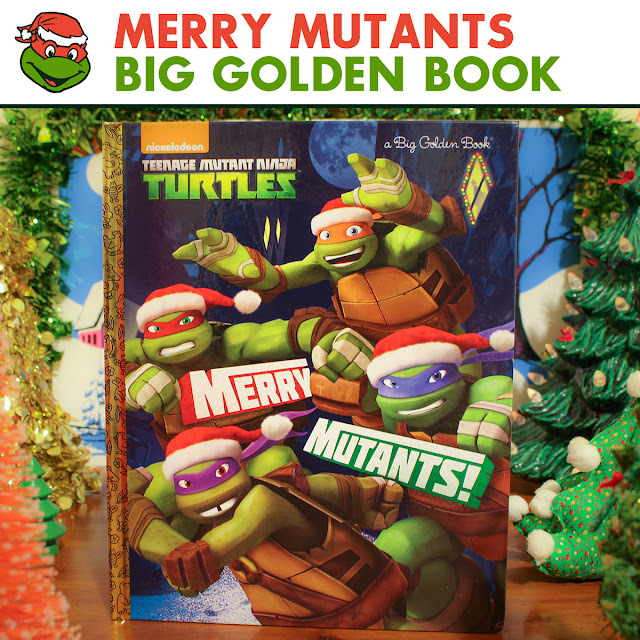 This season, TMNT enters the arena with a new Big Golden Book entitled Merry Mutants. The book is aimed at kids. I knew that going in, but was still eager for a fun holiday story. 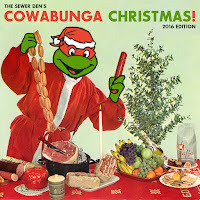 The festive formula is simple for TMNT - put mutants in Santa hats and keep the narrative silly. That's it. Follow this simple blueprint and success is guaranteed. In a shocking twist of events, Merry Mutants somehow screws that up. No Santa hats. No silly narrative. The cover is purely a tease. The pages within the book tell a tale of the Turtles snowboarding throughout New York City while Leo is in a grumpy mood. The pages are a visual charming winter wonderland, but don't set your yule log ablaze. The saving grace is one lonely Christmas tree lurking in the background. It's not hidden, but it's a Where's Waldo-like adventure searching for any holiday visuals in Merry Mutants. Merry Mutants is misleading. While the cover paints a very Christmas feel, the pages within are nothing but a winter tale that plays it too safe. The festive fun has been stripped away, an effort to steer clear of offending non-Christmas celebrating folks. But then why bother releasing a book entitled, Merry Mutants that features the Turtles in Santa hats on the cover? There's an indecisiveness that plagues what could've been a classic. Maybe this book is suppose to be for kids or something.